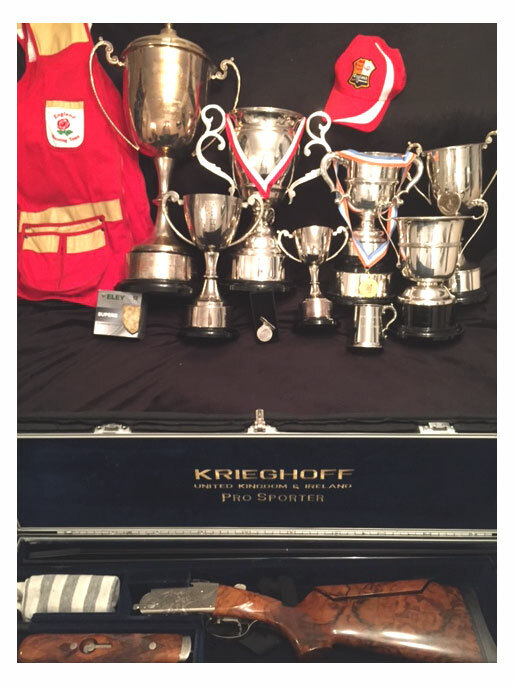 We're always pleased to hear from Krieghoff shooters about their successes and achievements throughout the year. We were delighted when we receieved an email from Andrew Parsons. "Please find attached a photograph of the silverware won this season using the Krieghoff K80 Pro Rib. .... Incidentally the stock choice and fit was done by Erwin and Alan." Andrew didn't want to self promote but just to show his appreciation of his K80, he goes on to say, "which I genuinely believe contributed significantly to my success." A very nice compliment to the gun that we, at Krieghoff, are so passionate about to.